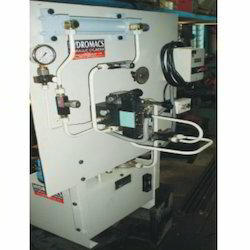 We have gained huge accolades by our clients for our excellent quality range of Pumps. These are manufactured using superior quality materials, procured from reliable vendor and find a wide application across various industries. Our range of Pumps are available in various sizes & weights, and is highly appreciated for its apprehensive features like high tensile strength and durability. available in various specifications, these can also be custom made as per the clients requirements. 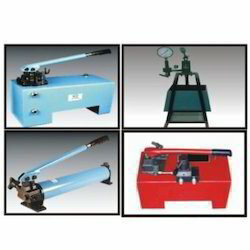 further, we offer these products at industries leading prices. 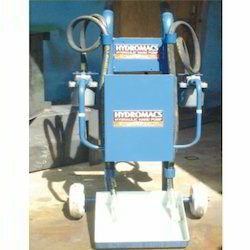 We are committed to offer our clients, a wide collection of Hydraulic Hand Operated Pumps. Manufactured using premium quality raw material, these pumps are known and appreciated for their high performance, low maintenance and strong construction. Moreover, these pumps are tested on various parameters to ensure their longer functional life. We have in store for our clients a wide range of Oil & Diesel Loading & Unloading Transforming Pumps. 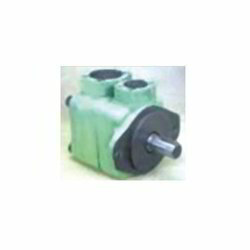 These pumps are manufactured using quality tested raw material, which is procured from the reliable vendors of the market. Moreover, the pumps offered by us are tested on various parameters so as to ensure their compliance with international standards and norms. With the help of our distinguished professionals, we have been able to bring forth Hydraulic Pallet Trucks. 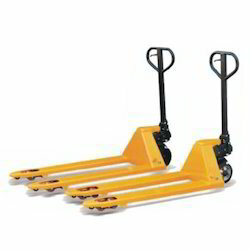 The pallet trucks offered by us are designed with built in overload valve. These products are manufactured using high-grade raw material, which is procured from the reliable vendors. Moreover, these products are tested on various parameters to ensure their compliance with set industry standards.